A quick post tonight because, frankly, I am completely bleary eyed. A wake up call at 4:00 am and a two-hour drive to Bombay Hook National Wildlife Refuge in 30 degree temperatures led to this glorious pre-dawn fire-red sky. It was well worth getting up so early as this bright color lasted for about 20 minutes before the actual sunrise. It was a birding trip today, and I was able to find 58 different species of birds which was glorious. Now to trudge through 600+ images I took today. A great birding day, but not necessarily a great bird photography day. Now the question of the day is..would you get up at 4am to get this shot? OMG ! Are you kidding? Who wakes up at 2:30am?? What time do you go to bed? You really aren’t normal..you know that right??? I’m a midnight to eight kind of girl. Although this year I’ve gotten up before dawn more times that I have my whole life ! Blame it on the birds. Hi Emily! I met you randomly while about to walk in Kinder park. Your website is Awesome! You are soooooo talented your pictures are moving and carry such feeling with them. You were so humble in decribing your talent. I am a novice to all this, but your stuff seems brilliant. Thank you for taking your time to engage with me. I feel so blessed to have met you. Just simpy.. WOW! Hi Staci ! I’m not sure this reply will get to you, but here’s hoping it will. It was wonderful meeting you and your friend in the park and I hope the rest of your walk went well. shoot it, and a couple of others have said the same thing, but I have a hard time believing it. This is what practice with a good eye and a warm heart creates for you. I can’t wait for you to get your camera and begin your journey as I have. It’s a wonderful experience. That photo was worth the trip even if you had never gotten any bird photos! This is a serious question, how do you keep track of the number of species that you see while shooting 600 photos? I’ve been considering keeping a count, I even bought a pocket size notebook, but I’m usually too busy to jot any notes down. When out in the field, I don’t actually count the number of how many birds there are. But I do keep a good running list of what species I see in my head. The images help tremendously also. Sometimes when I’m unsure I look for another ebird checklist for the same local/date by another birder and compare my list to theirs. Once I put my list on ebird, it gives me the total count of species seen. WOW! 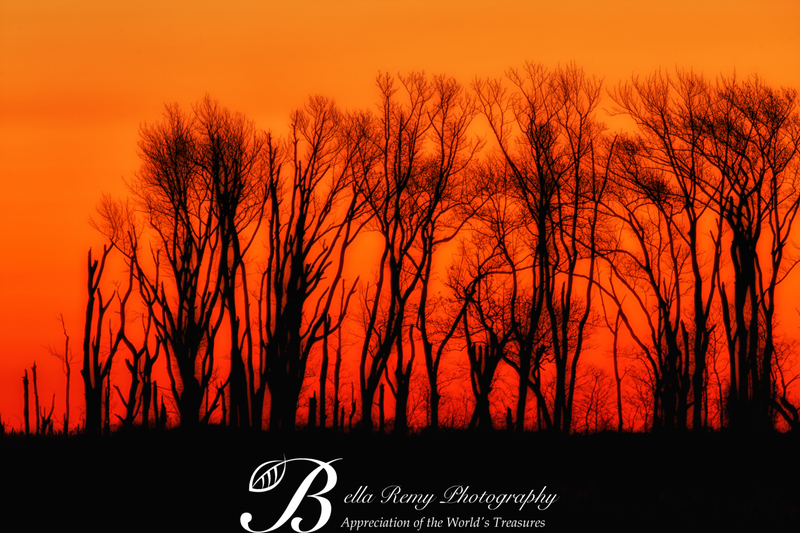 What a superb shot Emily…it really does look like the sky is on fire! Thank you so much ! I was so thrilled to experience the morning sky. That’s really interesting ! What else did you offer for sale? Makes me think of the phrase, ‘red in the morning… ‘ This is beautiful! It makes me think of it too. Thank you so much! And can you imagine Mark? This isn’t the best one. And barely edited at all. Good luck with those 600 photos! Actually with bird pics it does take time, but a bit easier than other subjects. I just find the best ones and trash the rest. Got it done though.